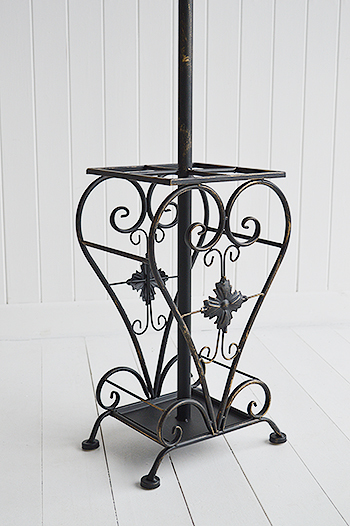 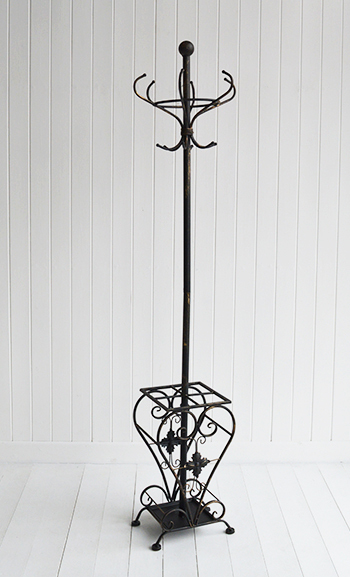 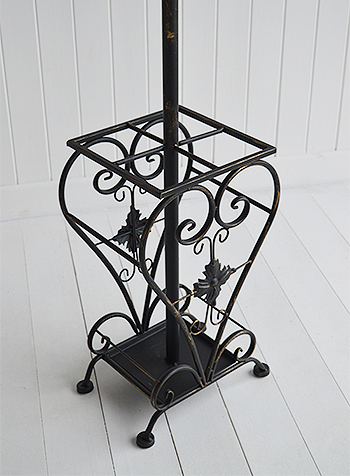 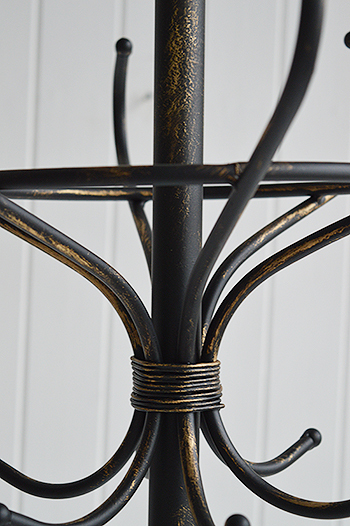 The Stamford coat and umbrella stand in antique black. 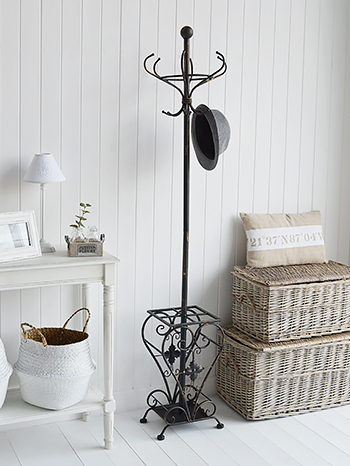 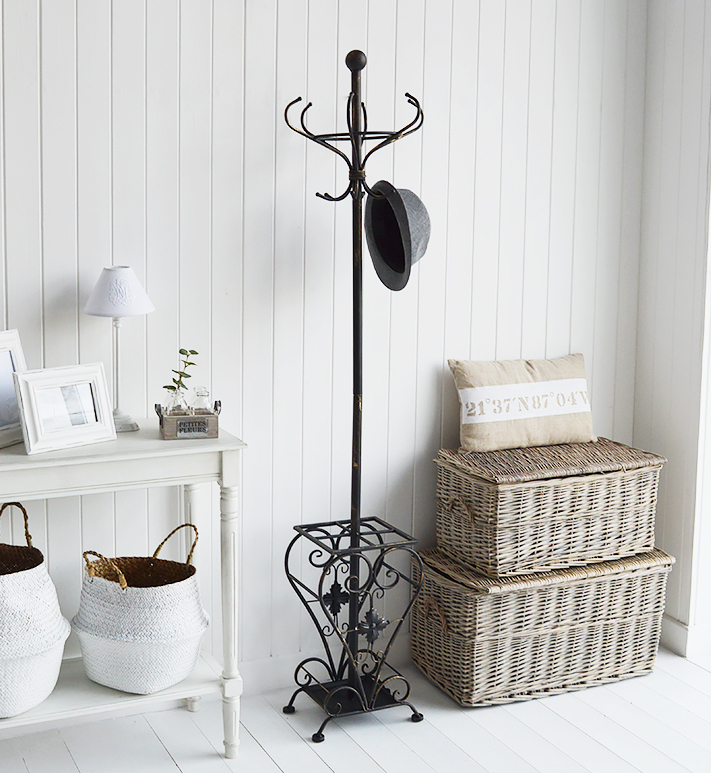 An essential piece of hallway furniture, the Stamford metal coat rack and umbrella stand finished in distressed antique black provides the perfect hall storage solution. 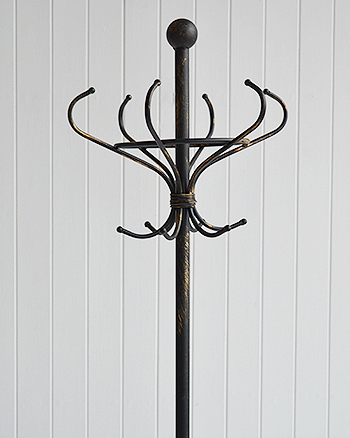 In a traditional Bentwood design this coat stand has six double hooks for hanging your hats, coats and scarves and an ornate base to store umbrellas and walking sticks.